Are you searching for a way to create a nice side income? Then Matched Betting could be just perfect for you. Especially when you love sports, you are going to like this. Find out the coupon code for 2019 to enjoy a discount when you create an account at profit Accumulator. Be sure not to make any mistake and start matched betting without a clue about what you are doing. 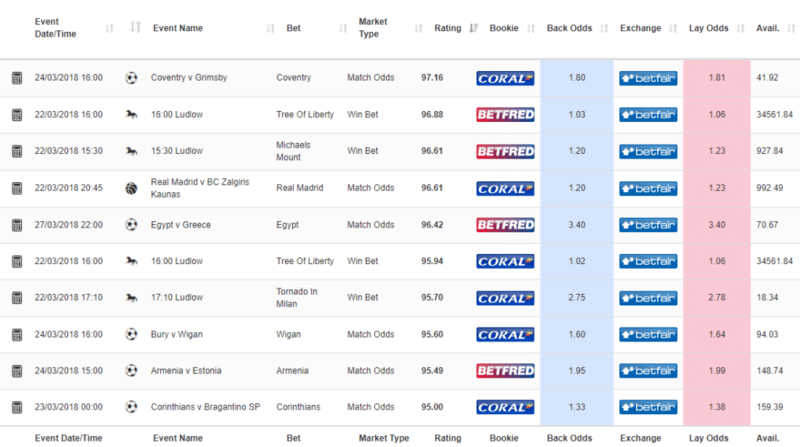 Instead, you can try a trustworthy oddsmatcher, such as Profit Accumulator. In this article, we are going to cover everything you need to know about the company, how Matched Betting works and what you have to look out for in order to get nice profits out of your favorite sports. Profit Accumulator is a company, that provides its customer tutorials for Matched Betting. Also, punters can use their oddsmatcher and calculator. The British provider is based in England and is, therefore, UK regulated. That makes Profit Accumulator a trustworthy company that’s around since 2014 now. In the meantime, it had established itself to one of the most used providers of matched betting software worldwide. As already mentioned, Profit Accumulator provides its customers a special software, that finds the closest odds between bookmakers and sports exchanges. The matches are not used in the UK, but worldwide. Therefore, punters can bet on their favorite games and sports markets in Europe, South America, Asia, Australia and so on. Also, players can find a huge range of tutorials that explain how to use an offer and to maximize the profit. Profit Accumulator also has a section where it updates all the welcome and reload offers of UK bookies daily. When you visit their website, you can see, that they have both, a free trial and a paid subscription. But what’s the difference, how does it work and how can you actually make a solid profit from gambling? Tutorials: You get a nice overview of what Matched Betting exactly is and how you can earn a decent income with it. You learn what you need to get started and how to minimize the risk of losses. Basically, you learn everything you need to know before placing your first bet with a bookie. Basic customer support: If you have any questions, you can contact their customer service via telephone, email or in the forum. Furthermore, Profit Accumulator mentions that you can earn up to £45 with their first 2 signup offers. All you have to do is watch the intro videos and follow the process of opening an account with the first 2 bookies and place your bets. It’s worth mentioning, that you don’t have to give Profit Accumulator any payment details. That’s definitely a plus and saves you from canceling a subscription. If you decide to carry on with Matched Betting after your trial period, you can change to the Premium Offer. You can do so without any risk as PA gives you a 30-day-guarantee. If you don’t like the provider, you can cancel your subscription and get your money back. But what do you get exactly from the Premium Subscription? 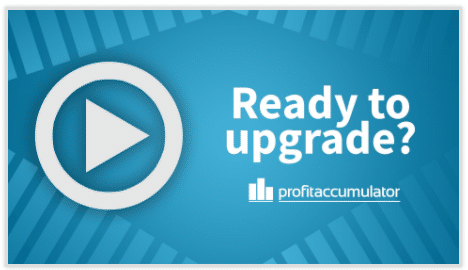 If you have decided to switch to the paid subscription and join the Profit Accumulator family, then you have a wide range of material you can use for improving your Matched Betting career. More than 100 tutorial videos: Here you can watch step-by-step how Matched Betting works. Once you manage the basics, you can carry on with more advanced tutorials, such as Casino offers, Acca-Offers, Dutching and so on. For each sign-up and reload offer you can watch a full video on how to proceed in order to get the maximum out of each offer. Oddmatching tool: This is the core and heart of Profit Accumulator. You can search for close odds. You can see which matches are suitable for you when they take place etc. Furthermore, you can access the calculator directly from here. Match Calculator: You can use the calculator to, yes you guessed it, calculate your back and lay odds. You can also see the estimated profit you can make from each offer. Daily calendar: Here you can see all new offers from bookies and sports exchanges. It’s updated multiple times per day. Online community: In the very active forum you can find really everything related to Matched Betting. The members also post offers manually that you can’t find in the daily calendar. Premium customer support: You can reach the customer service 7 days a week. Small amount of money: You can start with as little as £40 – £50. The more you start with, the faster you can earn bigger amounts. Credit card: Most bookies want you to register a credit card in order to open an account with them. Afterward, you can also pay with several e-wallets or wire transfer. This depends on the bookmaker. UK residency: Currently you have to live in the UK in order to use the services of bookies and sports exchanges. And how does Profit Accumulator work exactly? Easy: the goal is, to make the maximum use out of the welcome and reload offers. But how can we achieve that? Let’s explain that with a basic welcome offer – we place a £5 bet and get a £20. There are a few bookies who have that offer at the moment, so it’s a very good example. Watch a tutorial video of Profit Accumulator (PA) and open an account with the mentioned bookie. PA explains now exactly, how to register and what amount you have to deposit. Then it gives you an overview of the bonus requirements, such as minimum odds. You then go to the Oddsmatcher and filter the list for the required bookie and sports exchange. You can also filter for minimum odds. You then choose a match with very close odds and go to the calculator. Here you enter the back amount and the lay amount and the odds. 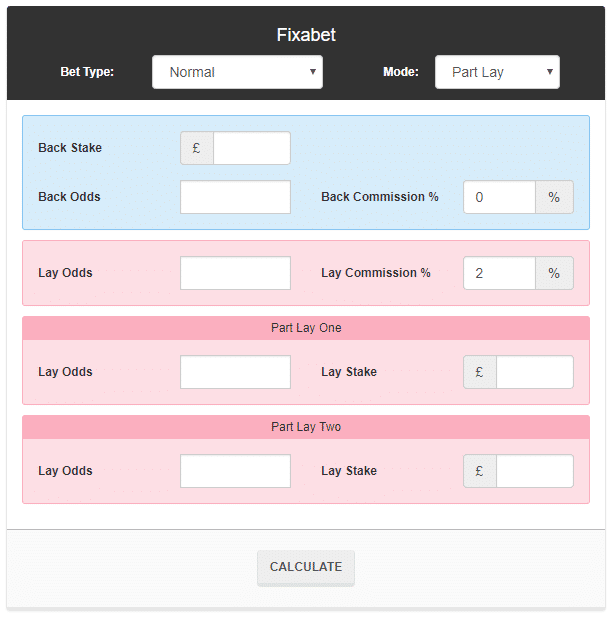 The calculator gives you all the data you need in order to place your first bets. But how is it possible to get a profit from the bets you place? Don’t worry – we are going to cover this question in the next section. Matched Betting Basic Training: Here you learn all the basics you need in order to move on to your first bet. You see, how to sign up for a new bookie, open the account with a sports exchange, search for a good bet, how to use the oddsmatcher and the calculator and so on. You really need to watch this video thoroughly as it is really the stepping stone to everything that comes after. The first bookmaker: Here you can see the first sign-up offer and how to get a profit from it. Basically, you can apply everything you just learned in the first video directly in real life. According to Profit Accumulator, you can earn up to £16 with this offer. The second bookmaker: This video covers the 2nd sign-up offer and leads you step-by-step through the process. Again, according to Profit Accumulator, you earn up to £16 with this offer. Now that you know how to use Profit Accumulator and what you get from the free and premium subscription, it’s time to answer the question on how Matched Betting exactly works. Let’s mention one important thing in advance: in the UK, Matched Betting is absolutely legal. But it’s getting better: all winnings from your betting is also tax-free as it counts as gambling winnings. Pretty cool, isn’t it? So – let’s have a look at how Matched Betting works. Basically, we use the welcome and reload offers from all the bookies which are currently existing in the UK (and that’s more than 100 at the moment). Normally, you place a bet and get a free bet afterward for it. At the end of the day, there are 2 steps with every bookie: the qualifying and the free bet. You place your qualifying bet. You are going to use your own money for that. To minimize the loss, you need a back bet and a lay bet. You place the back bet with the bookmaker (for example, Manchester United wins). Then you place the lay bake with the sports exchange (ManU draws or loses). It doesn’t matter how the match ends – you have both sides covered. At this stage, the goal isn’t that we make money from it. That’s what the free bet is for. After the bet is settled, we get a free bet. We proceed exactly the same way we did before. But this time, we won’t use our own money, but the free bet. Therefore, a profit is guaranteed. In order to get the maximum profit out of is, you need to use the oddsmatcher and the calculator. The goal is, to find a match with very close odds to minimize our loss. A good example is a back odd of 3.00 and lay odd of 3.10. If you have any questions or problems, you can always contact the customer support of Profit Accumulator. You can reach them via telephone, email or in the forum. Unfortunately, the customer support is only available from 9am to 5pm on weekdays and 10am to 4pm on weekends. But you can always try and get answers to your problem in the forum – that’s mostly the fastest way. The calculator is a very helpful feature of Profit Accumulator. You can access it directly from the oddsmatcher. So when you’ve found a good match, you open the calculator and insert the back odds and the lay odds. Also, you need to put the back stake in. The calculator then tells you, which lay stake you have to use at the sports exchange, the liability amount and the profit, you can expect to get out of this match. The calculator works for both, the qualifying and the free bet. Profit Accumulator is a really good provider of odds matching software. The company gives you all the tools you need, to get started with Matched Betting. Also, you don’t have to search for new offers yourself. You either check their offers section on their website or the forum for manually added ones. Also, you can save yourself the time to calculate the lay stakes and the liability for the sports exchange. The calculator takes over and does all the hard work for you. A good addition is the tutorials. Here you can learn step-by-step how to get started, what to watch for and how to maximize your profit. The website has a clean design and is easy to use. The prices are transparent. Very good is their free trial. The only downside is the limited customer support. Especially at or during the night, punters have no opportunity to reach the customer service.